​PPAF is a partner of the Global Alliance for Clean Cookstoves, a public-private initiative led by the United Nations Foundation to save lives, improve livelihoods, empower women and preserve the environment by creating a thriving global market for clean cooking solutions. Click here for its FAQ. Since the 2010 earthquake in Haiti, PPAF gives special attention to helping overcome the poverty – respiratory disease – deforestation trap of families’ heavy reliance on charcoal for cooking. 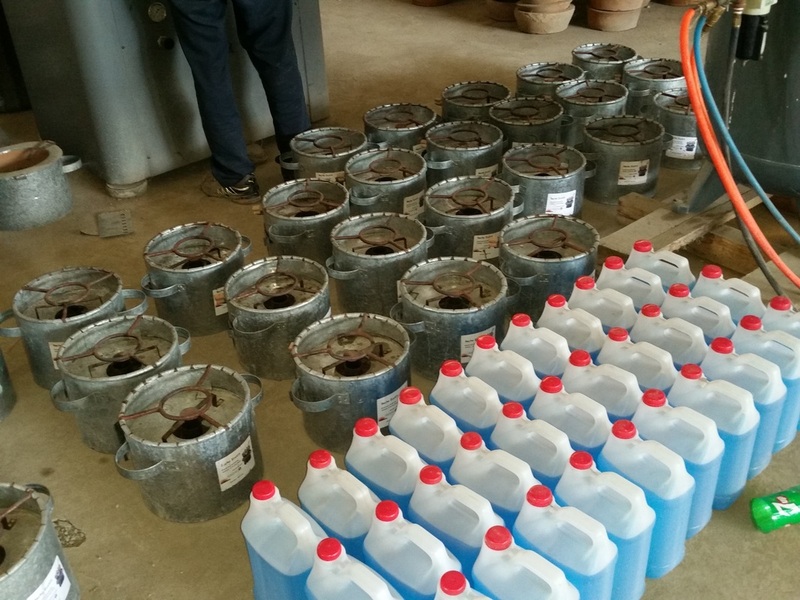 This includes research, seminars and recommendations, and steps toward commercialization of low-cost cookstoves, especially those fueled by ethanol from Haitian sugarcane. 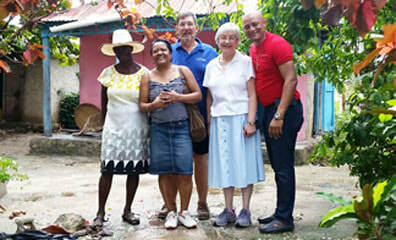 ​The Haitian-American business group SIMACT and non-profits including Project Gaia helped launch fieldwork. PPAF has collaborated with Haitian businesses, farmers and distillers in the Southeast & around Port-au-Prince. An Inter-American Development Bank consultancy enabled PPAF to focus on farmers and distillers and on fuel production, cookstove use, and building awareness of possibilities. 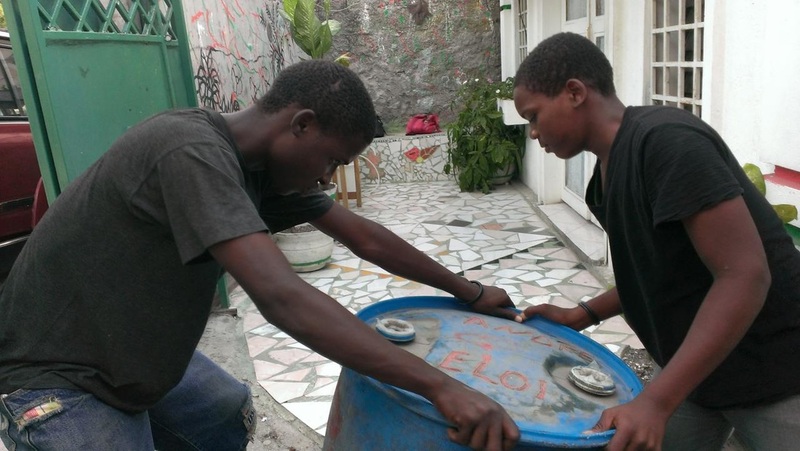 A UN Environment Programme grant enabled PPAF to collaborate with Haitian company D&E Green Enterprises for design and testing of a locally-made ethanol stove, and to prepare a business plan for roll-out of stoves and fuel. ​ PPAF is currently working on the fuel side, to improve production methods, capacity and profitability of small-scale distillers through consultancy and training programs. Worldwide three billion people rely on wood, coal, charcoal, or animal waste for cooking and heating. The World Health Organization emphasizes that this causes 2 million premature deaths annually, with women & young children most affected. Clean, efficient, durable, safe, and affordable cookstoves are – along with clean fuels – central to most solutions to the health, environmental, and other risks inherent in cooking with fire. The Global Alliance for Clean Cookstoves was established in September 2010. It counts as members many leading foundations, non-profit organizations, academic institutions, corporate leaders, governments and UN agencies, and it is hosted in the UN Foundation. The Alliance aims to save lives, improve livelihoods, empower women, and combat climate change by creating a thriving global market for clean and efficient household cooking solutions. In Haiti 75 % of total energy use is wood and charcoal for cooking. This has contributed to massive deforestation, leading to erosion and hurricane mudslides. Moreover the fumes from the 4 million tons of firewood consumed each year produce health hazards and reinforce the cycle of poverty. Clean-burning cookstoves will help solve these problems. Many are needed. Our friends in the Haiti Adolescent Girls Network (HAGN) have been accepted by the Global Giving crowdfunding program to hold a campaign up throughFriday 9/29. We are eager to encourage your support. Here is the link - www.globalgiving.org/projects/eco-friendly-girl-owned-microenterprises-in-haiti/. ​HAGN’s pilot project is helping 16 out-of-school girls between the ages of 15 and 19 start their own eco-friendly cooking businesses by providing them with Solavore solar cookstoves and related training and supplies. PPAF will be involved. HAGN needs to raise at least $5,000 USD from at least 40 donors to remain listed with the program. On Tuesday 9/19 GlobalGiving will match at 20% the online donations between $25 and $1,000 USD that are made that day. 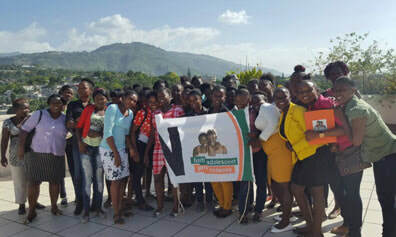 The Haiti Adolescent Girls' Network (HAGN) (http://haitigirlsnetwork.org) organizes "My Space" Girls Clubs to help marginalized girls stay in school, avoid pregnancy and early marriage, and develop their capabilities. PPAF and others are collaborating with HAGN to stimulate entrepreneurship in such clubs through Solavore solar ovens and related training from KDCK, and monitoring and stove performance evaluation from Solar Cookers International. Click here for a one-page description. And click here for more information on the design of our consortium project, which made the shortlist for significant funding from a recent large-scale competition. ​Solavore CEO Anne Patterson lives “off the grid” (www.solavore.com) with no municipal services. An August visit to her home on a small Connecticut island was an eye-opening experience in the practicalities of sustainability. We were treated to brownies cooked on her Solavore Sport oven and took a tour to see the tanks of collected rainwater, the solar panels, the composting toilet and other features of independent living. She has a strong commitment to the environment and entrepreneurship and a “can do” spirit. A CEO who truly represents the company. PPAF is working with Solar CITIES, KDCK, HEART in Haiti and others for installation and use of biodigesters to make gas for cooking in Haiti. 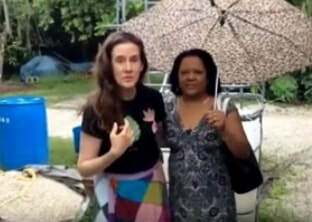 ​click here for the video shot at ECHO in Florida, Kathy Puffer of Solar CITIES is talking with Rose Bazile of KDCK. 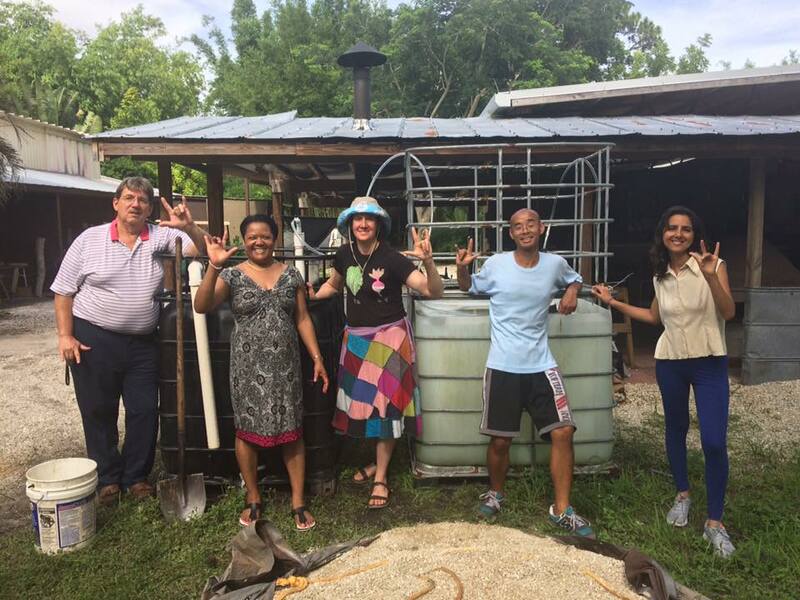 PPAF's Tom Setchel, Kathy Puffer from Solar CITIES, Rose Bazile of KDCK plus Enas Rahman, Li Zhu and Imanuel Feodor Kusuma inoculated & commissioned the biodigester at ECHO Global Farm & Research Center in Florida (www.echonet.org). Elliot Toevs, Appropriate Technology Manager, was the host for the event and related tour. The biodigester will produce biogas for cooking and fertilizer from the slurry. A great day! This 4-minute video focuses on recent work by PPAF in collaboration with the non-profit KDCK and others, on ethanol, bio-gas and solar cooking. This video can also be seen under our website's Video section. A trip to Haiti in January saw PPAF Senior Fellow Tom Setchel working with KDCK Chair Rose Bazile to meet with communities and collaborating organizations, to demonstrate new cooking options and to install two biodigesters in Cotes de Fer, Rose's hometown. They also visited an orphanage and a women's training institute to assess needs and opportunities. They visited an elementary school to review the current status of a large biodigester Tom had previously helped to install and to demonstrate additional options. Rose introduced Tom to her network of friends and colleagues and organized several demonstrations of cooking solutions. Tom visited the owner of a distillery PPAF worked with previously and saw the improvements made. He learned the company can now provide sufficient ethanol fuel to start commercial relations with the stove manufacturer that co-designed and tested our locally-made ethanol stove Recho EcoVit. ​Congratulations to Duquesne Fednard and D&E Green! As stated at CGI this week, 103 K improved stoves sold in 5 years, 215 jobs created, 1 million trees saved, 400 K tons CO2 saved and significant marketing innovations. Keep on keeping on! PPAF entered a new effort for work with small-scale distillers to develop ethanol fuel from sugarcane. Senior Fellow Tom Setchel undertook a consulting trip in April to initiate Phase One of the upgrade of the small-scale distillery “Guildive Roche Blanche.” He and the owner worked for a week with guildive staff and met several people who could become involved in future. Phase One covers establishing a monitoring system for weight, moisture content and sugar content of the sugarcane received at the guildive, and actions to improve productivity. Phase Two will deal with fermentation and Phase Three with distillation. PPAF's Go Fund Me campaign was again successful. The owners of Resource Furniture gave a challenge grant that was matched & exceeded by other donors. PPAF is grateful to all for their generosity. PPAF and partner D&E Green have designed a Haiti-made, low-cost stove that burns high-proof sugar cane ethanol for fuel.. The next area for PPAF attention is on the fuel side, building from its previous work for the IDB, and helping farmers and distillers improve and increase production. 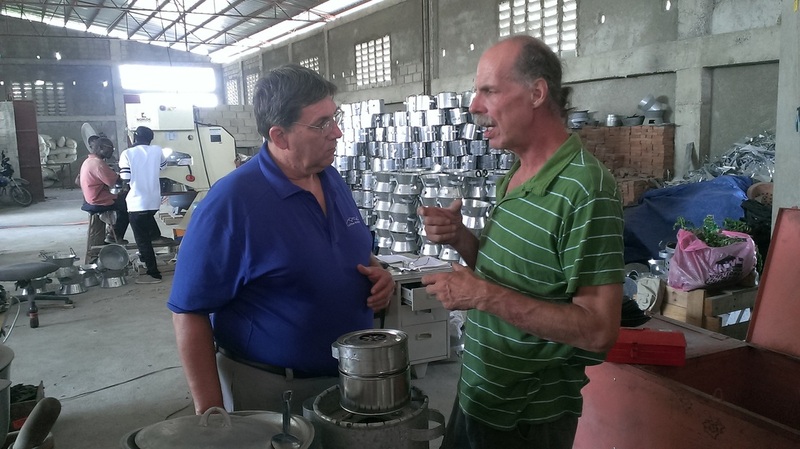 ﻿Tom Setchel, Senior Fellow/Energy Consultant traveled to Haiti in October to work with distillery (guildive) owners and with D&E Green Enterprises staff on development of local production of ethanol and on results of ethanol stove testing. His findings would help shape our business plan for the future. Fritz Gerval Octave, Senior Energy Specialist (IDB-Haiti) invited PPAF to present its current work at a forum on innovations in sustainable cooking in Haiti, held on September 9. David Stillman, Tom Setchel and Al Shelton (D&E Green) made a joint presentation on the work of PPAF & D&E, development of the Recho EcoVit cookstove, and the process of distilling fuel ethanol. The PPAF-D&E Green presentation was very well received by the 40 participants who attended, including the DirectorGeneral of Haiti's Bureau of Mines and Energy. PPAF had previously served as a consultant to the IDB in 2013 on the project "Ethanol Stoves and Fuel in Haiti." 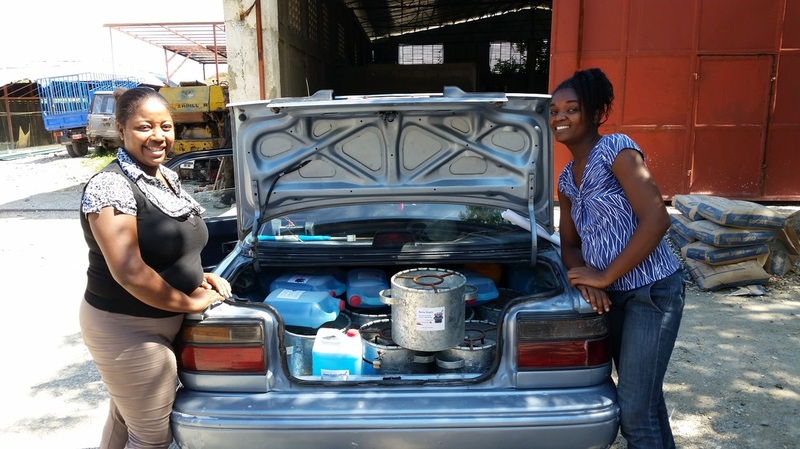 The UNEP grant in May 2015 has expanded work in Haiti on the Ethanol Cookstoves and Fuel project. It enables PPAF and D&E Green Enterprises to refine the design of the new stove, test it with potential customers, and develop a business plan for commercial rollout. As of writing in August, the partners have carried out a kitchen use test, developed marketing materials, and administered surveys concerning stove use. Women are naturally important to stove refinement and testing and they make up 75% of D&E's 100 stove distributors. For the past several months, under the direction of Dr. Padmini Murthy, a team of graduate students from New York Medical College School of Health Sciences and Practice researched and wrote about our work in Haiti for their Master's Degree Capstone project. Their excellent efforts will benefit our work throughout this year. In addition, an environmental science Capstone team led by Dr. Diane Heck and Dr. Michael Sharkajian studied the implications of the recent Ebola crisis in West Africa and the potential for ethanol cookstoves. Both teams presented their work at a School event on April 28. ​We were pleased to announce that the United Nations Environment Programme awarded PPAF a grant to expand our work in Haiti on Ethanol Cookstoves and Fuel. Since 2014 PPAF has worked with D&E Green Enterprises, an award-winning Haitian company that manufactures and sells "improved" cookstoves that burn less charcoal or wood than traditional stoves. We will collaborate to refine the design of our new ethanol stove, test it with families of potential customers and develop a business plan for commercial rollout. Working with women is an important component. Shown here is the new ethanol stove designed by PPAF and D&E Green Enterprises, an award-winning Haitian cookstove company. The prototype is based on the design and materials used in the stoves D&E already makes and sells. A first run of manufacture and testing with a pilot group of families was planned for 2015. An autumn crowd-fundraising effort for the project was successful. The owners of Resource Furniture, Inc. offered a challenge grant, which was met and exceeded by other donors. This enabled a PPAF team of George Garland and Tom Setchel to travel to Haiti in October 2014 and work with D&E Green, and with the International Lifeline Fund, to build and test prototype stoves and carry out studies with local women about cooking practices & preferences. ​Posted under Media- Videos is a video that summarizes the work and findings of PPAF’s consulting assignment for the Inter-American Development Bank a few months previously. 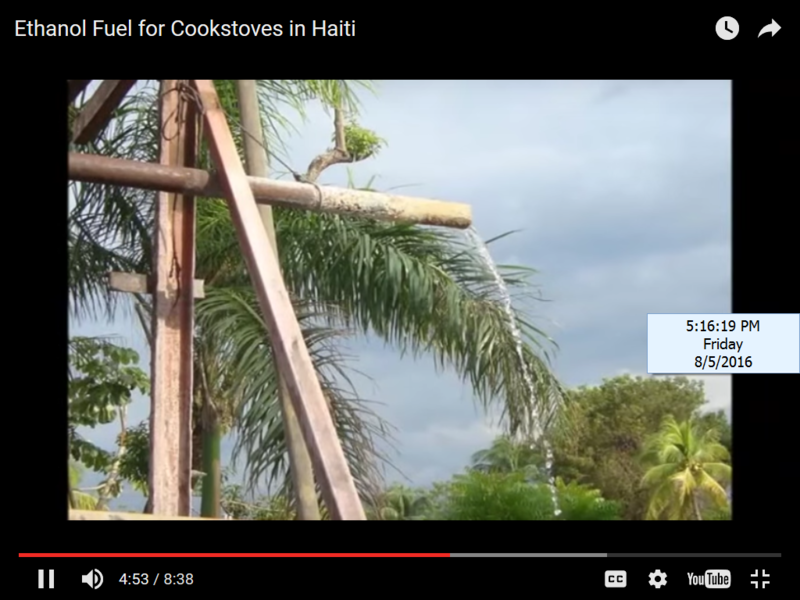 ​The video illustrates how Haiti’s poverty, respiratory disease, and environmental problems relate to burning wood and charcoal for family cooking and small businesses, and the possibilities for fuel ethanol from Haitian sugarcane. PPAF and associated organizations are currently developing actions to address these issues. PPAF worked with the UN Department of Public Information to host a lively and well-attended panel discussion on March 13 at the UN. David Stillman moderated, and with panelists Corinne Hart (Global Alliance for Clean Cookstove), Katherine Leininger (for Navigant Consulting) and Tom Setchel (PPAF) the group explored the connections among bio-energy policy, clean cookstoves and production of alcohol (ethanol) for cooking. Click here for much more information, under the section "News and Events." 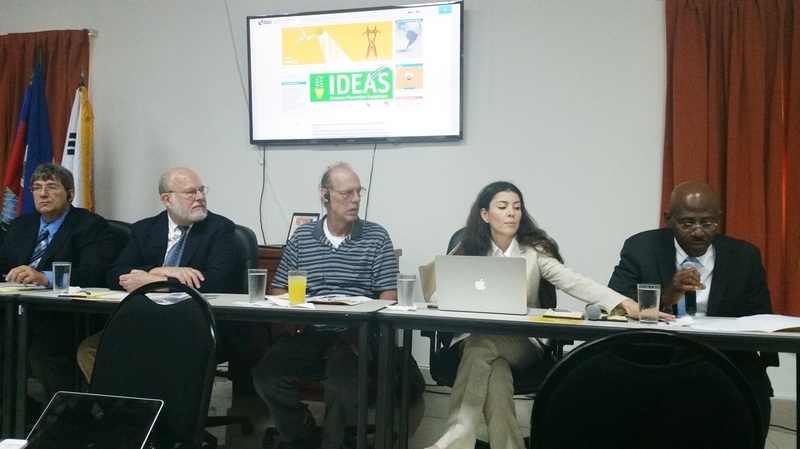 ​On the basis of the PPAF consultancy results, the IDB invited David Stillman to participate in a workshop on developing a national bioenergy action plan for Haiti. This took place December 10 in Port-au-Prince. PPAF is working with various organizations to build upon the findings and recommendations from the consultancy with the IDB. In its work for the Inter-American Development Bank PPAF sent two teams, including a microbiologist, agronomist and distillation specialist to work with local organizations in Haiti. They assessed current practices and the means to improve alcohol production for cookstove fuel. ​They continued pilot programs with families and organizations, advocated support for improved distillery equipment, promoted improvements in sugarcane farming and studied price elasticity for both stoves and fuel. A distiller who began implementing the experts' recommendations immediately noticed improvements. The Inter-American Development Bank agreed to a three-month consultancy by PPAF for work in Haiti. A summer of preparations preceded this next phase of the project. The assignment focuses on steps to increase the volume and decrease the price of ethanol for fuel; maintain and grow PPAF’s cookstove pilot efforts; and build greater awareness of the stove and fuel possibilities. ​Activities include continuing pilot programs with families and organizations, building financial support for improved distillery equipment, encouraging improvements in sugarcane farming, and price elasticity assessments. In the September visit to Haiti under the IDB consultancy, the PPAF team of David Stillman and George Garland worked with consultants Anthony Bouchereau and Cara Mullen and with Fritz Clairvil of Path to Haiti. In addition to visiting smaller operations, they toured Rhum Barbancourt, the oldest and most successful continuously operating company in Haiti, and the Darbonne Mill, a major sugar enterprise in Leogane. The team examined local distilleries, tested sugar levels in cane samples, met with representatives of the Association of Farmers and Distillers of Leogane and of community and women's organizations, and met with women in the pilot project based at the Art Creation Foundation for Children in Jacmel. PPAF carried out field testing in June – July, comparing ethanol and charcoal stoves in Jacmel, Haiti and analyzed data from tests in earlier months. The Art Creation Foundation for Children was a valued collaborator. ​PPAF found that ethanol stoves have a great advantage over charcoal in terms of speed, efficiency, safety, environmental protection, and suitability indoors and in rainy weather. As currently designed they seem better suited for smaller rather than larger quantities of food and shorter rather than longer durations. ﻿A new video “PPAF: Putting Policies into Practice” gives a 5-minute overview of the Foundation's activities and achievements. It highlights the origins and priorities and showcases the work on ethanol cookstoves and fuel in Haiti. The Acknowledgements at the end list many of the partners with whom PPAF collaborates. Special thanks go to Stevie Rosenfeld of Gateway Media, who volunteered to create the video. ​View it in the “Media” section of the PPAF website. 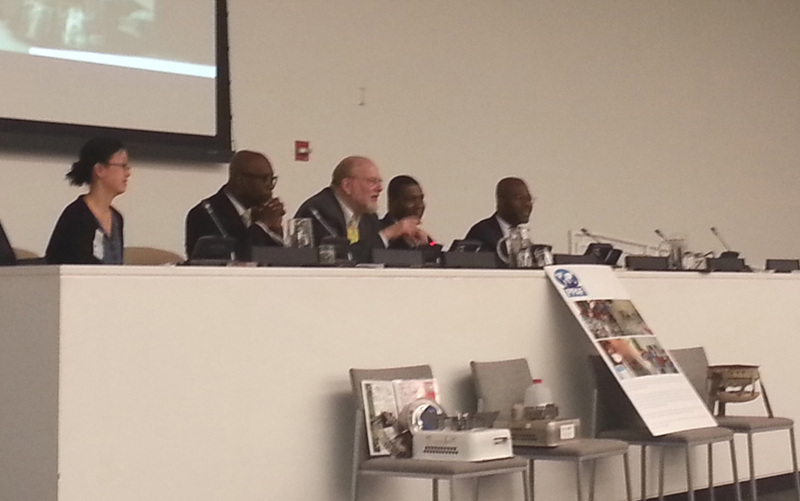 PPAF held a Consultation on Ethanol Cookstoves and Fuel on April 4 at the United Nations, supported by the UN Office for Partnerships, the UNA-USA Southern NY Division and others. Seventy invitees participated, including from the Inter-American Development Bank & the Global Alliance for Clean Cookstoves (GACC), plus the Consul-General of Haiti in New York. A write-up appears in the GACC April 2013 Update, Click Here. In a January 2013 trip to Haiti George Garland and David Stillman of PPAF and Fritz Clairvil of PathToHaiti and SimACT, Inc. held meetings in Jacmel to commence fuel purchases by project participants (replacing donations); establish fuel sales points; confirm satisfaction among stove users; and assess readiness to purchase stoves and fuel by individuals and organizations. ​In Leogane several sugarcane farmers and distillery owners expressed interest, and in Port-au-Prince several government officials welcomed the team's work. Starting in September 2012 PPAF and PathToHaiti / SimACT began piloting the use of ethanol cookstoves from the Dometic Company. 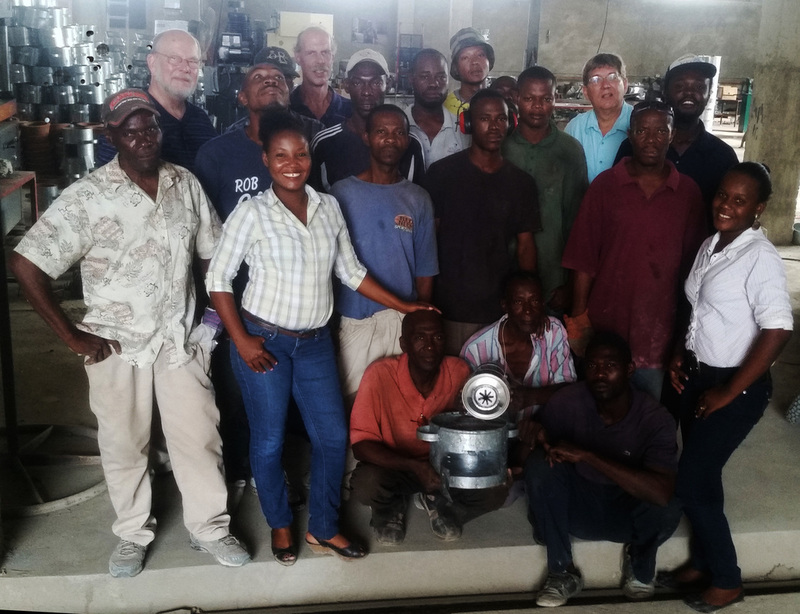 Project Gaia, Inc. provided a supply of stoves and related technical support regarding piloting in Jacmel and Leogane and declared the work as the first of its kind in Haiti. 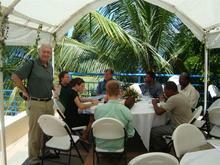 Project inauguration took place at the Cap Lamandou Hotel, owned by SImACT in Jacmel. Initial implementation showed the cookstoves as obtaining acceptance at several levels -- with low-income mothers, community group representatives, small business (artisans), and hotel staff. The Global Alliance for Clean Cookstoves Program Manager for Gender and Markets, Corinne Hart, and PPAF Executive Director David Stillman made presentations on the importance of improved cooking methods at a March 6 side event to the UN Commission on the Status of Women session “Rural Women: Energy, Health and Water." Over a hundred participants gathered in Orlando, Florida for the Disaster Response & Recovery Summit held on 1 & 2 March . David Stillman was an invited speaker. He presented the work of the Ethanol Cookstove Initiative for Haiti and related PPAF activities, and met with many business and other representatives at his discussion table. PPAF organized meetings in January for representatives of Blume Distillation, LLC and Project Gaia on small-scale distilleries for alcohol (ethanol) from sugarcane and similar feedstocks to fuel cookstoves, motorbikes, etc. Meetings were held with potential investors, UN Ambassadors from Madagascar and Haiti, and UN officials. The Haitian-American investment group SImACT Inc. organized a related session in Brooklyn with over 50 participants. PPAF's David Stillman and Fritz Clairvil of SImACT, Inc. participated in the “Clean Indoor Air Cookstove and Alcohol Fuel Production International Forum” organized by the International Institute for Ecological Agriculture (IIEA) and Project Gaia, and held in Atlanta, Georgia from Nov. 29 to Dec. 1, 2010. PPAF partnered with the Haitian-American investment group SImACT to hold the Workshop “Reconstruction and Business Opportunities in Southern Haiti” at the Cap Lamandou Hotel in historic, damaged Jacmel Haiti, on June 12-13, 2010. The working group on ethanol cookstoves (in photo above) drew lively participation. The "Haiti – Resources for Reconstruction & Humanitarian Assistance Summit," was held March 9 and 10, 2010 in Miami. The event stressed the role of the private sector in Haiti's long-term reconstruction. It was organized by Global Investment Summits and the International Peace Operations Association (IPOA). 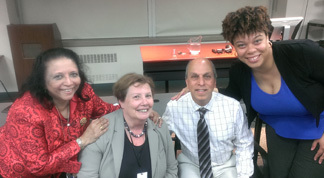 PPAF Executive Director David Stillman was an invited speaker and hosted one of the discussion tables. Regine Barjon (BioTek Solutions, Inc.), Harry Stokes & Ms Brady Luceno (Project Gaia), and David Stillman began developing ideas for collaboration on stoves & fuel in Haiti.